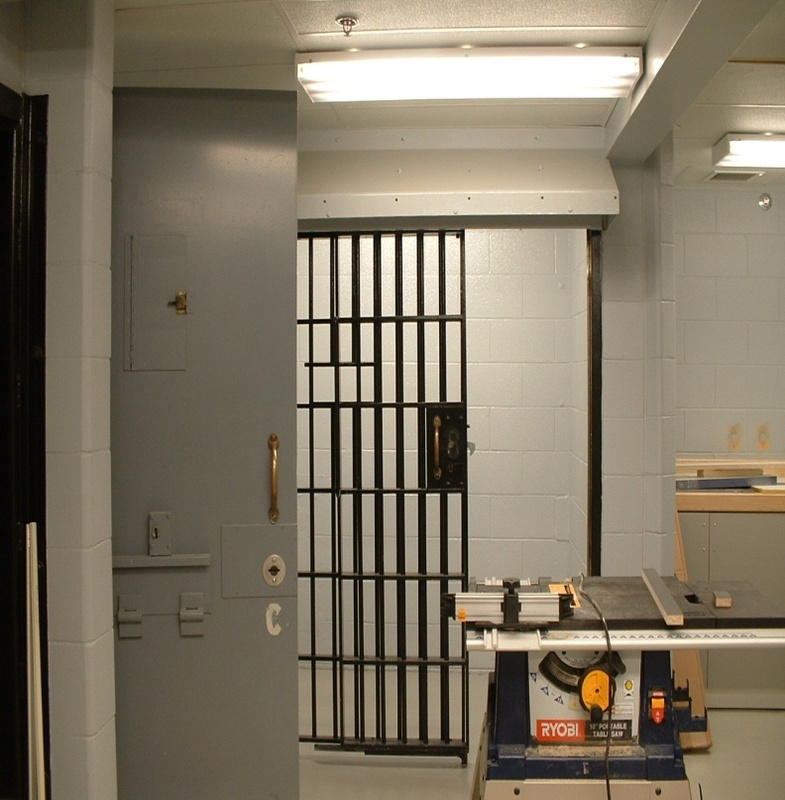 Project Scope: Renovated the locker rooms, the booking area and the holding cells which are in the basement of the building. This included removal of existing cells and relocation of those cells. 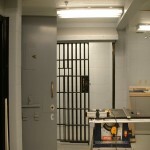 Removing walls, and all items in the area, installing new plumbing, salvaging the cell doors and reinstalling in a new location, new cell containment area and all new finishes. Interesting Notes:The booking area needed to remain open at night when Turnstone Corporation was not working. Tremendous amount of Coordination, Care and Thinking went into the end of day activities to ensure that the booking and temporary holding area remained open and was secure each night. New plumbing was to be installed in the existing concrete floor. The slab was scheduled to be cut and demo-ed, new pipe installed and slab put back together. Pre-investigation test cores of the slab done by the Superintendent turned out to be a good idea. When these cores were done, water immediately started to rise into the room. The Super stopped coring and was able to get the water issue temporarily resolved. After investigation by Bill Clark, the superintendent and the Architect, it was noted that the building was built on a Structural Slab. At this site, this was a bottom slab with a pocket in between and then a top slab. As well, the steel inside of the slab was not typical. The water table is very high in Concord and it appears that the slab was built this way to allow water to run through the pocket of the slab. It was determined that the structural slab should not be touched and that there needed to be a new way to get the plumbing in where it needed to be. Turnstone Corporation was a large part of the solution to this problem at a minimal cost that the owner and architect were very pleased with.